Stipend for PharmD students during internship !! 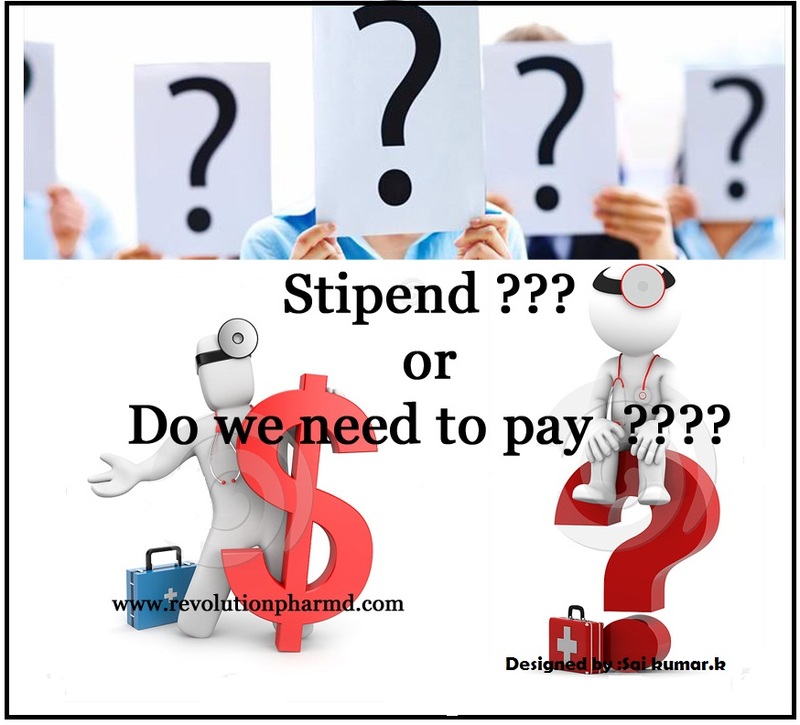 PharmD Internships without stipend Bad for Students, Bad for hospitals, Bad for Society.Medical,Dental,Ayurvedic,Homoeopathy,Physiotherapy,Veterinary,Nursing interns get stipend why not we ??? PharmD students are made to pay fee to college during internship,there will not be any lessons or tutorials and most of the students will not be using the college facilities at all. So why do we still need to pay college fee for that particular year.Don’t you think it’s like"rubbing salt in the wound" to ask students to pay to during the internships. This could be considered as service because sufficient training has already been provided to the PharmD students during the curriculum, especially in the 5th year, where along with regular subjects we also do clerkship and project work. PharmD students will be mostly rendering service in the hospital during their internship. On the one hand we may learn a lot - no doubt- but on the other hand it does not support the idea of social equality. In economics, people value what they pay for. When hospitals have a financial investment in someone, they are more inclined to gain a full return on that investment.Hospitals have no real interest in an interns personal or professional development. But if they pay for that intern, they do.Anything given free is not considered valuable so if PharmDs are given stipend,hospitals will try to utilize our services to full extent.Students,Hospitals and patients will be benifited with the provision of stipend to PharmD students.Students will be able to develop skills and experience and patients will be satisfied with improved quality of health services provided to them. If students are not provided stipend it devalues the profession & actual work being done, lowering pay/salaries for pharmacists .There will be obvious compromise in patient counseling, promotion of rational drug use, drug information services, pharmaceutical care, adverse drug reaction reporting, therapeutic drug monitoring and pharmaco-epideomology which are salient ingredients of professionalism expected because private profiteers would never engage enough hands to cater for these interests. Therefore, a recommendation of residential internship with stipend (like other professions) by the concerned authorities will tremendously motivate our students and also help the profession to be viewed from a better perspective.Hope this decision would improve motivation, working conditions and education services available for Pharmd students in the country. Tell us your sugesstions -- and your opinions -- about interning for no stipend and paying fee during internship. Support the movement by participating in the survey.It will helps us to take the issue to authorities concerned.